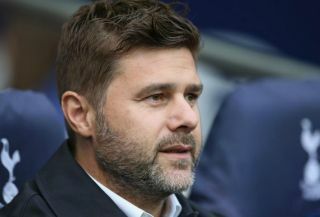 Tottenham boss Mauricio Pochettino believes that the Lilywhites are now a ‘big club’, as proven by Arsenal’s joy after winning at the Emirates on Sunday. The Gunners secured a 4-2 home victory against Spurs in a pulsating encounter which was a great advert for Premier League football, as both sides went for broke right from the start. Tottenham went in at halftime 2-1 up thanks to goals from Harry Kane and Eric Dier, after Pierre-Emerick Aubameyang had initially given the hosts the lead from the penalty spot. However, Arsenal rallied in the second period and Aubameyang drew them level after 56 minutes, before Alexandre Lacazette and Lucas Torreira fired home the decisive goals to win the match. Despite their derby defeat, Pochettino has suggested that Arsenal’s wild celebrations at the end of the game are proof of a power shift in north London, as his team have now finished above their rivals for two consecutive seasons. “What that shows, first of all, is the respect that they have for us,” Pochettino told reporters on Tuesday, as per the Telegraph. “When the people celebrate like this, it’s because people respect you and see you as a big club. “Of course, when we arrived here, the derby was a little bit… well, it was normally Arsenal always above Tottenham. But the last two seasons we were above them and, how they celebrate, you start to see it was a massive win for them. “For us, it was a massive disappointment but it showed the respect that we got in the last few years with our performances, with our results. Next up for Spurs is a clash against Southampton at Wembley on Wednesday, while Arsenal will face Manchester United at Old Trafford on the same night. The Gunners are now above the Lilywhites in the Premier League table on goal difference in fourth, with both clubs seemingly poised for an intriguing battle for the final Champions League spot over the next few months. In recent times Pochettino’s men have managed to get their better of their north London rivals, but under Emery’s stewardship, Arsenal seem to have turned a corner. The Argentine boss will now have to pick his players up quickly to get back on track domestically with Southampton and Leicester City to play over the next four days, while also looking ahead to a crucial European clash against Barcelona next week.